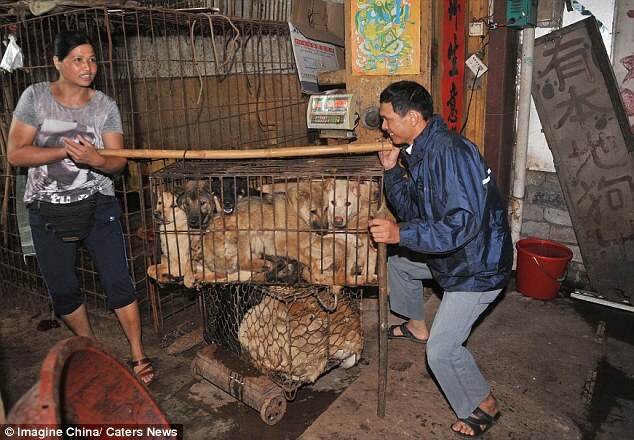 Horrific images show dogs being killed, cooked and served up as a meal in Chinese tradition - kaycee Weezy! 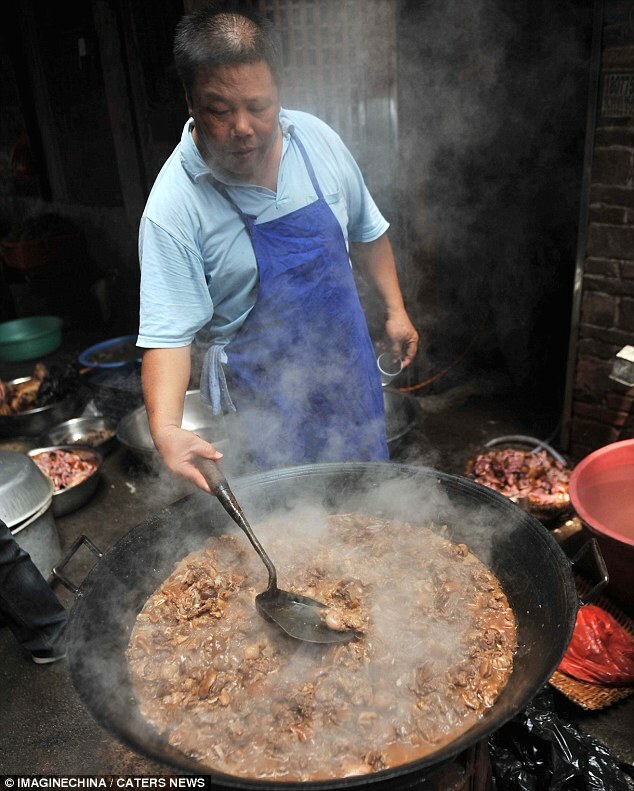 These disturbing images show dogs being cooked and served up as a meal in a grim Chinese tradition.The animals are chopped up and cooked in front of diners - despite a growing anti-cruelty campaign.A group of Chinese activists in Yulin City, Guangxi province, descended on the dog meat market campaigning against eating the animals. Artist Pian Shan Kong knelt down in front of the dead animals confessing for people's sins as he apologised to the dead animals during the demonstration.China is yet to make animal cruelty illegal and end the grim tradition despite campaigning by animal rights activists. Pet lovers' associations have sprung up in Chinese cities over recent years.While many Chinese enjoy rich dog meat, especially during cold winters, some object to the practice in some regions of beating dogs to death to release the blood into the meat. 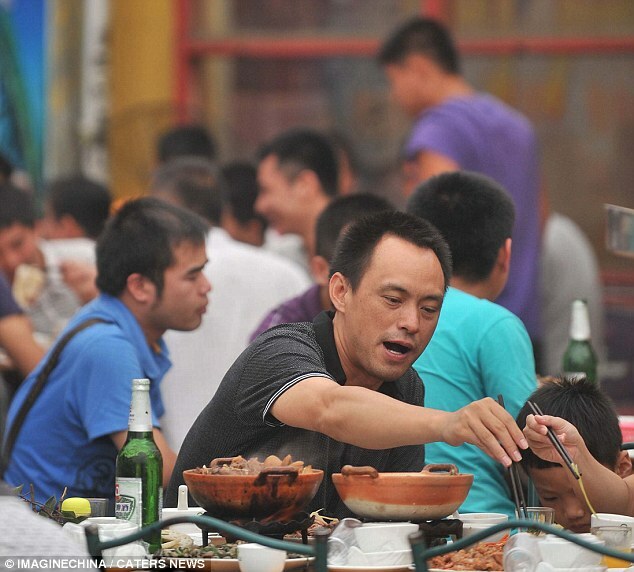 When food is scarce, dogs are eaten as an emergency food source around China in a practice which is seen as socially acceptable. 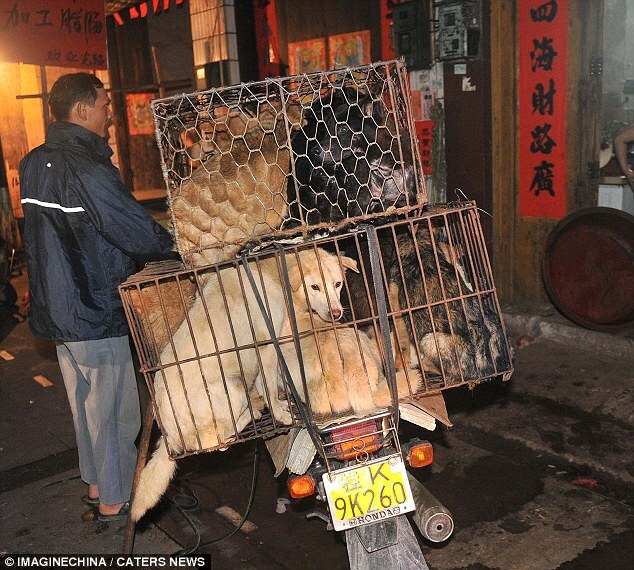 As the country becomes more affluent, a growing number of families are buying dogs as pets fuelling the growing campaign against animal cruelty.In April, more than 500 dogs set to be slaughtered were saved when the truck they were being carried in to the slaughterhouse was intercepted by activists.Many of the 505 creatures had barely survived their terrible ordeal, having endured cramped conditions and a lack of water during their near 1,000 mile journey by road.But rescue came too late for 11 dogs which had succumbed to dehydration and exposure.